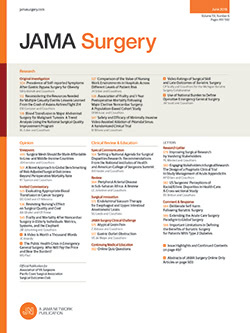 The editorial titled “For the Protection of the Public and the Good of the Specialty: Maintenance of Certification” (published in the February 2009 issue of the Archives of Surgery) has prompted us to offer the following article to inform the debate about how assessing surgical care and sorting out the variables to be included in maintenance of certification may develop worldwide. The proposals for revalidation of UK physicians involve the relicensing of all physicians and recertification of all specialists on the specialist register of the General Medical Council. The process will be on a 5-year cycle and is currently under development by the General Medical Council. The Royal Colleges have been charged with creating the standards for recertification, and the responsibility will fall on the Royal Colleges to support their fellows and members as the new regulation is introduced and as it develops. This article outlines developments so far, with particular reference to surgeons. In 2007 the UK government published a White Paper (authoritative report or guide that often addresses issues and how to solve them) titled Trust Assurance and Safety,1 with the aim of assuring the public of the fitness to practice of all UK physicians. In response to subsequent legislation,2 all physicians will be required to demonstrate that their practice is in line with defined standards through the process of revalidation. This process has been in development for a decade or more but has recently been fueled by several key factors: the lack of processes to ensure the continuing good practice of UK doctors, the absence of any credentialing or privileging process in relation to medical employment practice in the United Kingdom, and the focus of the British government on assuring the public of the safety of medical care in the United Kingdom after the occurrence of notable adverse events during the past several years, including the Bristol Inquiry3 (unacceptable practice in pediatric cardiac surgery), the inquiry of Dame Janet Smith4 into the murders committed by Dr Harold Shipman, and other high-profile incidents outlined in the policy document Good Doctors, Safer Patients5 by Sir Liam Donaldson (Chief Medical Officer of England, Department of Health, National Health Service). The General Medical Council (GMC) has responsibility for developing the process and is working with all the Royal Colleges to achieve an appropriate process to raise the standard of medical care across the profession and in so doing to ensure patient safety. It is no longer safe to assume that the certificate of completion of training, issued at the successful completion of a UK training program, is adequate to ensure the capability of a surgeon for the rest of his or her surgical career. The process of revalidation has emerged because there is a perception, especially by government, that the profession has not attended to developing an explicit process to assure the public of the continuing capability of physicians throughout their practicing lives. The revalidation process must be designed, therefore, to provide the requisite assurance for the profession and the public alike but must take into account the complex and uncertain conditions in which surgeons work. There is a real danger, however, that the whole process will lead to deconstruction of the role of surgeons into measurable components that carry a “pass mark.” The role of a surgeon is complex and far more than the sum of the individual parts. Furthermore, the content of the practice of an individual surgeon changes over time. The challenge for the Royal Colleges is to create a rigorous, transparent, and meaningful process that will begin to satisfy professionals and UK society. Medical revalidation will have 2 core components: relicensing and specialist recertification. The process will have both summative and formative elements with specific regulatory responsibilities for the general medical council (GMC) and for the profession of surgery, and will take place on a 5-year cycle. Revalidation will take place through governance systems of the local hospital and will rely on a new annual enhanced appraisal process to inform the outcome. The relicensing element will evaluate the generic practice and performance of a physician. It will take into account his or her job plan and require evidence, agreed on by the GMC, to demonstrate commitment and accomplishment in specific components, such as auditing, continuing professional development, teaching, probity, and personal health. All practicing physicians, including surgeons, will be required to take part in this process. Recertification will seek assurance that the surgeon is practicing to the agreed surgical specialist standards, which have been described and defined by working parties of the Royal Colleges. Those standards include the 4 GMC domains of knowledge, skills, and performance; standards and quality; communication, partnership, and teamwork; and maintaining trust. These standards will need to be continually reviewed, and it is expected that the enhanced appraisal process will detect at the earliest possible time any underperforming physicians in need of support. Although most issues will be dealt with locally and quickly, some may need a formal remediation process as yet to be clearly defined. Satisfactory outcome will lead to recertification for an additional 5 years. Inherent in this exercise is the prerequisite that revalidation will reflect the ability of the individual rather than the institution, the quality of care given rather than the natural history of the condition treated, and that the information that supports the process is validated and reliable. No assumptions should be made with regard to the challenges this process presents to the profession. Given the team-based approach to contemporary surgery, isolation of the effect of the individual may be difficult. Although some specialties will have mortality as a proxy of quality of care already in place (eg, cardiac surgery), in others the outcomes may be temporally distant (eg, pediatric surgery, urology, otorhinolaryngology), and the data used as surrogates of quality of care, effectiveness as a surgeon, and competence as a physician need a context that is in part specific to specialty but can also be assessed with confidence. Moreover, the differentials produced by a practice that is primarily elective in content as distinct from one where there is a heavy emergency component (even within the same surgical specialty) will need consideration when assessment takes place. Recertification is best considered a process rather than an event and as such will have both formative and summative elements. It will be portfolio based. The process for surgeons will be guided by their everyday practice, which will vary among surgeons, and will rely on the annual appraisal, which will have generic and specialty-specific requirements. The regulator will be the GMC, which is currently in the process of restructuring so that it does not continue to act as judge and jury for the regulation of physicians. The GMC will require local hospital administrations to appoint a local responsible officer, who will be a hospital board–level appointment. The local responsible officer will create an appropriate governance process to allow him or her to positively assure the GMC, every 5 years, of the good standing of all physicians. This will require a mechanism for early detection of physicians who need specific support and must involve the Royal College professional support processes. Arrangements for physicians who practice outside the National Health Service are in development. The Royal Colleges are seeking a role in quality assurance of the governance process of each hospital administration. The elements of this process are under development. Clinical performance, patient safety, adverse incidents, incident analysis, multisource feedback, and continuous professional development (CPD) will all serve as elements for recertification. Assessment of research, teaching, training, management, and other professional duties may be made either within the envelope of CPD (if only a moderate element of the work of a surgeon) or as a separate component if it occupies a major role in the professional profile of that surgeon. Clearly, each specialty must delineate the features of the assessment of clinical performance with the expectation that surrogates of performance that share the confidence of the physicians in that specialty will be both reliable and valid. There is considerable work required to bring together the range of experience in each surgical specialty. The terms of reference used for evaluation also need consensus within specialties. The standard setting process draws heavily on the need for data to be reliable, able to be synthesized, presented in consolidated form, and evaluated by a surgeon from another specialty. It is assumed that a logbook of operative work with outcome will be available for all surgeons and that a profile of all admissions, outpatient workload, and routine clinical duties as outlined in the hospital contract will be available. This will require hospitals to provide accurate accounts. However, UK surgeons continue to have much anxiety about the accuracy of these data. The CPD will be a key element of revalidation and will be part of both relicensing and recertification. The CPD for recertification must be relevant to the practice of the surgeons and the specialty to which they belong. It is hoped that this will increase recognition of the value and contributions of clinical science, research, and education, the safe care of patients, and the development of health care in general. In making explicit a commitment to patient safety in contemporary clinical surgery and the place of safety initiatives in preparatory legislation, the recertification process will accommodate a section in which commitment to safer practice can be illustrated (eg, implementation of a World Health Organization surgical checklist). By contradistinction, adverse incident registration and the response to such adverse events should be a feature of clinical practice as should initiatives adopted to ensure safer practice. This may be an area in which scale is difficult to measure, but outlying performance should be identifiable through peer review and the use of information available through other parts of the revalidation process. Peer and patient assessment is a component of the regulatory processes of many professions and is already embedded in the assessment of physicians in training. It is used in different ways in different countries. It will be part of a suite of information that informs revalidation. The development of resources to create a relevant and reliable system for seeking comment from other professional colleagues is currently under way. A new initiative by government patient-reported outcome measures is also under test by the Department of Health in England, and outcomes are awaited. Outcome audit of surgical procedures is undertaken disparately across the specialties of surgery. It remains a challenge for specialties that have yet to set standards for the collection of data, but an agreement has been reached that this must be developed in all specialties. This development will happen incrementally with each iteration of the development of the recertification folder. It is an opportunity for all surgeons to increase their accountability for their operative practice. Some specialties have clearly developed end points that allow appropriate analysis after the requisite risk adjustment. Others will have quality-of-life outcomes to consider, and it is recognized that given the eclectic nature of recording clinical outcomes, cautious and careful interpretation of the data will be essential. It will be equally important that the data collected are accurate and secure. Revalidation must capture other activities, such as management roles, advisory roles (eg, appointment committees, work for the Royal Colleges, specialty associations, and other recognized committees, as well as roles within health departments, disciplinary functions, and other professional agencies), research, and education. It is recognized that the professional profiles of surgeons change with age and all professional responsibilities deemed valuable by the profession must be valued. It is essential that no gradient of worth applied to such roles as this will stifle developments, most particularly in postgraduate education and some research. The current generation of surgeons in training and young consultants are familiar with electronic data collection for both portfolio needs and logbook data to validate operations performed for the purposes of educational assessment. The revalidation portfolio and logbook data exercise is an extension of that process. It will be a challenge to some, and much work will be needed both as a profession and as individuals to get it right. The Surgical Royal Colleges in the United Kingdom currently have electronic logbooks available to their fellows, who, with the appropriate intervention to ensure interoperability with other aspects of recertification, must work toward providing the electronic data resource for the revalidation portfolio. The challenges will be in accuracy in coding and correction of data points for risk adjustment. Of great concern is the possibility that risk-adverse behavior could emerge from indiscriminate comparisons by those outside the profession who want to monitor and control the behavior of surgeons. Even within individual specialties it may be that practice may differ substantially within subspecialties and outcome analysis must be rooted in actual practice. Outcome data should emphasize both positive and negative outcomes (eg, morbidity and mortality), and if outliers are identified, then the validity of the data, the environment of work, case mix, and individual performance will all require scrutiny. What is clear, however, is that that data collection is essential by all. National audits will be considered obligatory, and the surgical community will need to adopt a positive approach, appreciating that an incremental, iterative process will be required to deliver a product within each specialty. Legislative change in the United Kingdom will soon require all physicians to be relicensed on a 5-year cycle and those on the specialist register to be recertified. This process is jointly called revalidation. Implementation is to be approached in a phased manner, with piloting of a cohort taking place now before national implementation. A supporting role by the Royal Colleges and specialty associations will be essential to win hearts and minds and attend to specific aspects of this enormous venture. It will not happen without both a financial and professional cost, but there is a genuine educational opportunity to raise the standard of surgeons, which must be the surest way of ensuring patient safety and the safe practice of surgery for the future. Correspondence: George G. Youngson, CBE, PhD, FRCSEd, Department of Paediatric Surgery, Royal Aberdeen Children's Hospital, Cornhill Rd, Aberdeen, Scotland AB25 2 ZG (ggyrach@abdn.ac.uk). Accepted for Publication: August 13, 2009. Author Contributions:Study concept and design: Youngson, Knight, Taylor, Tanner, Steers, and de Cossart. Analysis and interpretation of data: Youngson, Knight, Hamilton, Steel, and de Cossart. Drafting of the manuscript: Youngson, Taylor, and de Cossart. Critical revision of the manuscript for important intellectual content: Youngson, Knight, Hamilton, Taylor, Tanner, Steers, Steel, and de Cossart. Administrative, technical, and material support: Youngson, Knight, Taylor, Tanner, Steers, Steel, and de Cossart. Study supervision: Youngson.